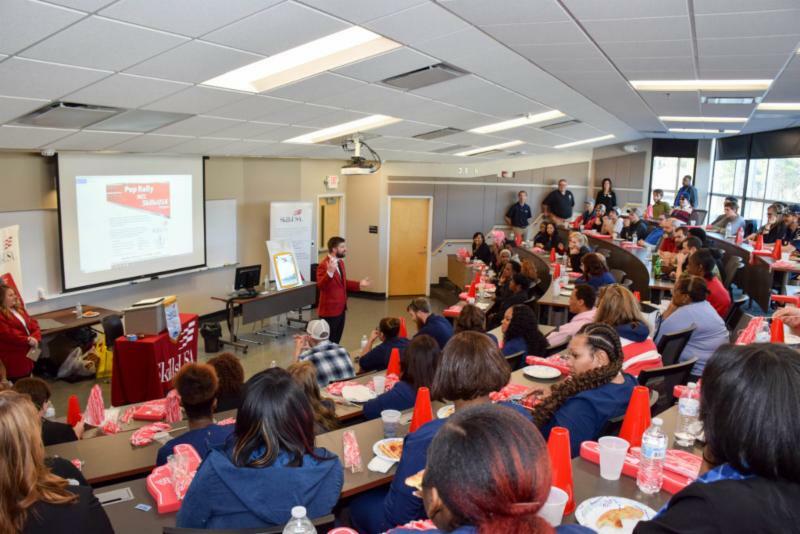 Nash Community College hosted a celebration Monday promoting technical training in honor of SkillsUSA Week, February 3-9, 2019. 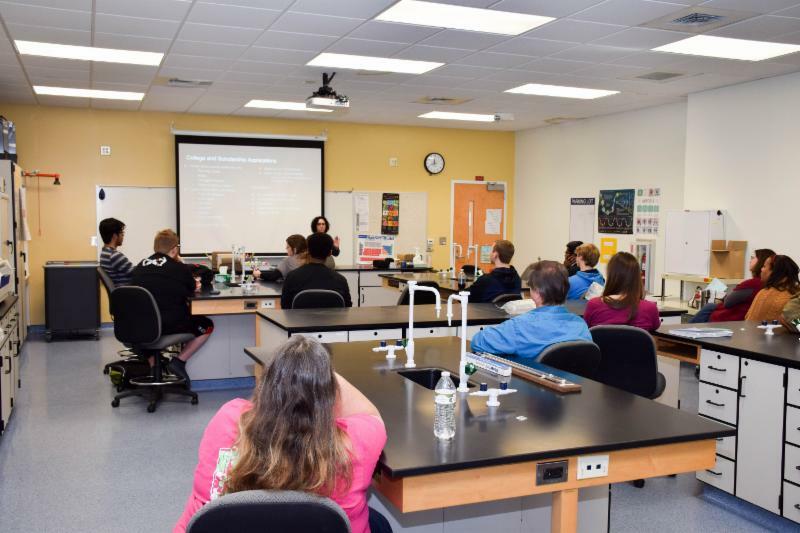 Special guest Peyton Holland, executive director of North Carolina SkillsUSA, along with Dr. Bill Carver, NCC’s president, welcomed students encouraging them in their preparation for local technical careers. Representatives from Channellock, Inc. attended the event promoting the work of future trade workers, facilitating classroom discussions and conducting NCC student interviews. The company is a worldwide leader in the manufacture of high-quality pliers and assorted hand tools, and the lead sponsor of SkillsUSA Week 2019. Read More. 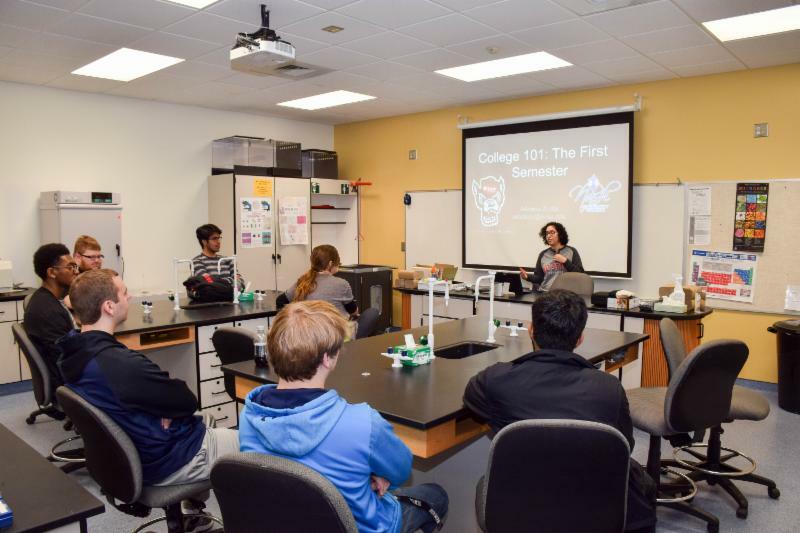 Nash Community College alumna Adriana Cabrera Zurita returned to campus Friday, February 1, 2019 to share her university transfer experience with current community college students. Zurita earned an Associate in Science degree at Nash Community College in 2017. In 2018, she graduated among NCC’s first student cohort earning an Associate in Engineering degree. Read More. Nash Community College welcomes runners, walkers, volunteers, and sponsors to the 5th Annual Run for Knowledge and One Mile Fun Run Saturday, April 27, 2019. The event raises funds to support student scholarships and provides an opportunity for community members and visitors to enjoy NCC's campus. For more information, visit www.nashcc.edu/run or contact the race director at runforknowledge@nashcc.edu. Pico de Gallo is NOT Salsa! 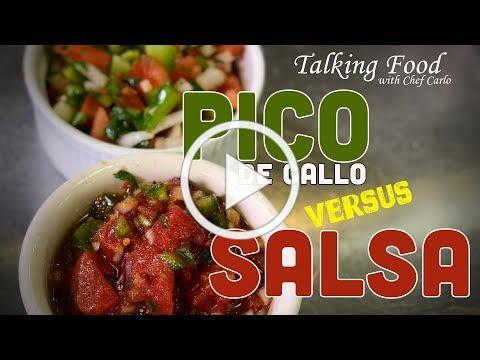 Salsa is NOT Pico de Gallo! Why? Join us as Chef Carlo and Andrew chop up fresh veggies and go a few rounds in our PICO de GALLO v. SALSA battle. They'll demonstrate not only how to prepare fresh Salsa and Pico de Gallo, but also what makes them different ... but oh so GOOD ... on almost anything!